Is anything known about the QA of these items and the reliability of their CE/UIAA labeling? Do not use this carabiner for safety-relevant applications. "ultimate tension" is not a term used to describe carabiners strength by any manufacturer I know. 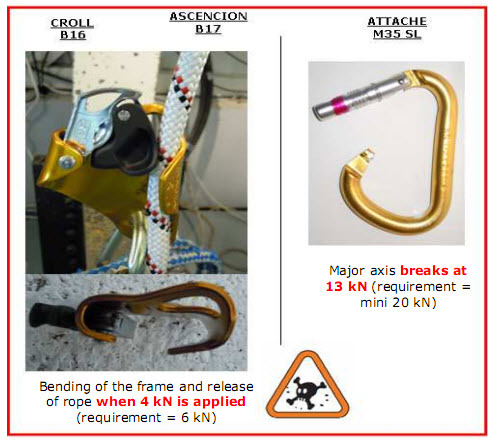 In addition, with carabiners you usually get numbers for major axis, minor axis and open gate strength. CE certification is not a safety norm like EN/UIAA. The image features an EN cert, the text does not mention an EN cert. Googling the seller "STRADE FAREAST LIMITED" does not bring up anything relevant either. There are way too many red flags here for safety relevant gear. Another red flag, as identified by @Pont, is the displayed norm: EN 362:2004. That's the norm for industrial equipment, while the description on ebay is geared towards "Outdoor Rock Climbing". The main issue is that fraud and misrepresentation is rife in the chinese manufacturing sector. I personally wouldn't trust equipment that doesn't have a reputable manufacturer behind it, unless there was a way to verify that independent testing and/or official certification proof is available to the public. Having any certification stamp on the part means nothing if the manufacturer is shady as it's been proven that some certifications have been faked in the past. 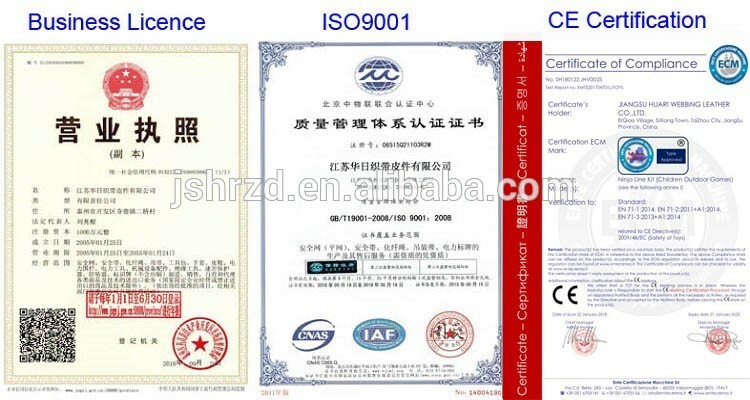 I did do a quick google search, the alibaba listing for mass-market seems to imply that the manufacturer is somewhat certified. Now it's up to you to check if this is true or not as that particular certification isn't very helpful for consumers trying to detect frauds. Furthermore, as noted by @JonCuster, the CE certificate is for a different item, which makes this pretty much non-applicable anyway and super shady. These look like the Carabiners frequently used on Via Ferrata climbing kits. See for example these images on google. I am certain that you can find such carabiners from respectable brands with a known history of high quality gear that fulfils all the needed standards. They might be a little bit more expensive. If you have to even ask then it's probably safer to just avoid buying crucial and potentially life-saving equipment from unknown Chinese manufacturers. Buy a similar product from a known, respectable climbing gear manufacturer. You should not bet your life on an unknown piece of life-critical equipment, especially not to save a measly 10 bucks! Edit: Found some being sold in the Salewa Shop, I'm sure there are plenty of others. Not the answer you're looking for? Browse other questions tagged safety sailing carabiners or ask your own question. How can I tell if Chinese rock climbing gear is reliable? How do I choose a good quality carabiner? What does it mean to cross load a carabiner? Safe way to mark a carabiner gate? How does a carabiner handle make sense? Can I re-use a via ferrata carabiner/harness for climbing? What is a nose-hooked carabiner and why is it dangerous?